Thanks, Liz and Merry Christmas to you and Nigel! A delightful title! 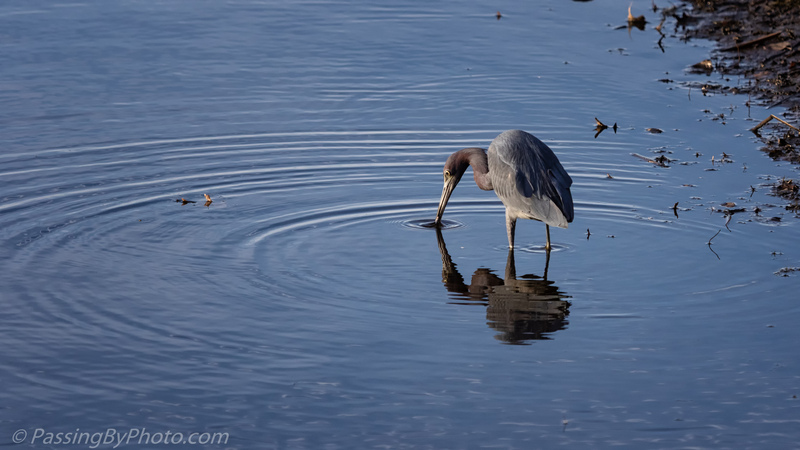 I love this shot and composition – always find the Little Blue Herons charming, and the color of the water is just beautiful here. Thank you so much! I love to see the water’s response as the birds go about their business and the water was just right.